Happy Valentine's Day! Here are some little love birds snuggling up, golden crowned kinglets. 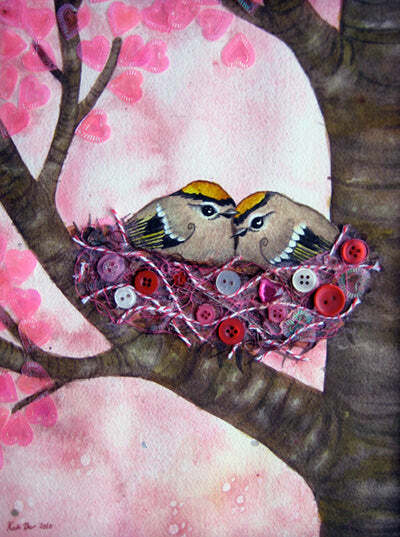 This is Birds Nest painting No. 16. This morning I made a big breakfast for my boyfriend to wake up to. I'm so full! 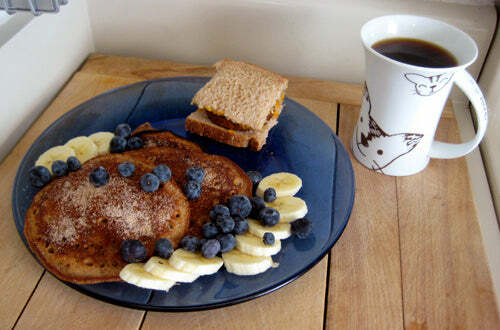 We had Morningstar Farms sausage patties on toast, and orange-chocolate pancakes with banana and blueberries.